I love love love exploring the vast expansiveness, the retail world has to offer. I can spend an entire day doing nothing but, just gazing at these picture and recreating various looks up in my head. 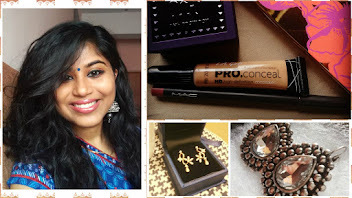 I follow a large number of fashion bloggers and I have noticed quite a few names that come up quite often in accessories section. So, I took a plunge and typed away Forever21 which opened up a bright, cheery, colorful world filled with accessories. 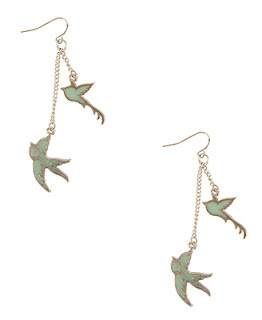 And from what I saw up until page 30(Was too tired after that) these are few earring that I loved. 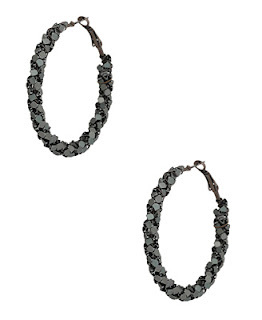 The black finish hoop, perfect for a night out with girlfriends. Elegance and poise two words that strikes me when I see this beauty. Perfect with a log chiffon gown. Hippie style, something that I would wear to college ( 2 years..*sigh*). 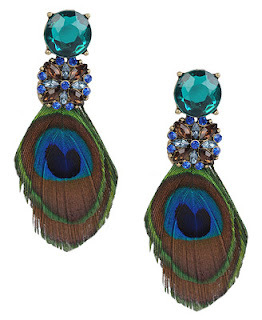 Forever21 has this whole section devoted to feathers.Personally, I am not comfortable wearing feathers in my ears.Nevertheless this edgy peacock earrings are a sure shot head turner at cocktail parties. 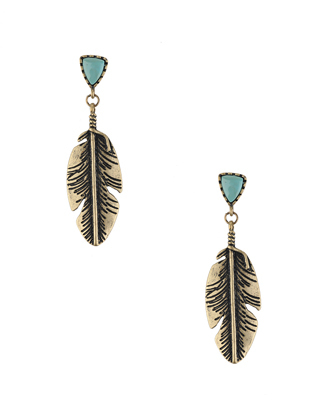 The feather earrings shouts elegance, something like this I would wear for a dinner date. The fun earrings are perfect for a day-mall shopping spree. Casual and laid back. 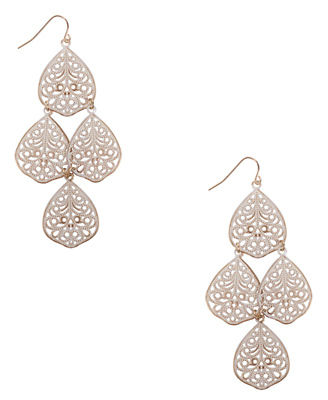 The earrings remind me of my office, simple and perfect for those must impress power meetings. I would wear these red beauties with a plain kurtha and let my earrings do all the talking :). 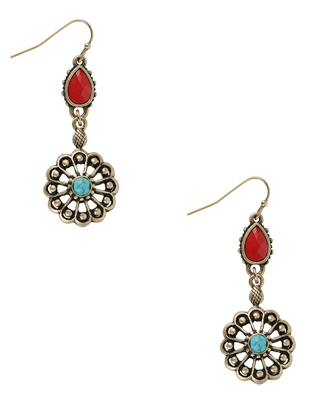 Again an Indianised earring, something as gorgeous as this should be paired with a no fuss churidhar so that the earrings will stand out. Aah!!! last but not the least a gorgeous beaded hoop (This one steals my heart ). 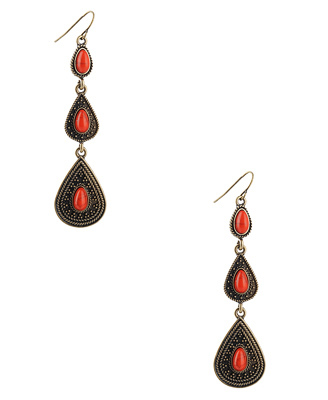 Wear it with a simple gold pallu saree and you are all set to rock the family function. Do you have any ideas on how these beauties can be styled?. If so do let me know. Well, Forever21 doesn't have shipping to India (*Sob*). 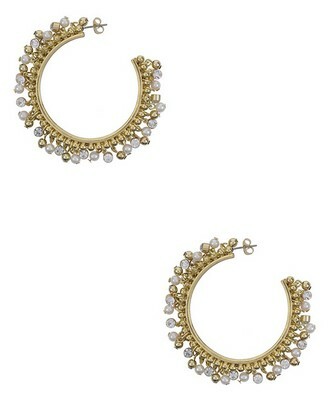 I have to go all the way to Delhi if I have to get my hands on these beauties which I will be in a months time :). PS:- All the above earrings costs less than $5.00 ie, Rs.250 max which is way less than what I pay for my normal earrings. Hey those are some fab earrings. 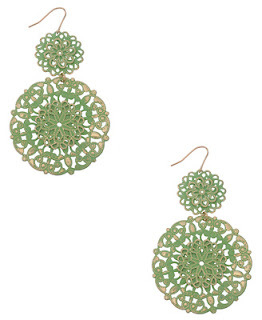 Where do you buy most of your earrings. 1.black hoop...I believe hoops are a type that can be beautifully paired with both evening dresses and jeans depending on their sizes...the one dat u posted will look best with a black or red evening dress. 4.The feathered beauty....not really my taste but I think they would have looked better with lesser stones...U know the stones kind of make the thing a bit clustered (thats my personal opinion though)...I think the pair would look good if contrasted with a plain cropped white tee (to balance the dash of colors from the feathers) and a basic jeans or a multicolored pair of pants to make a loud statement. 5.Another feather like earrings...this one is really pretty...ummm I think this would look good with a simple knee length dress.